Early morning mist, a few rays of sunlight, and a classic West Cornwall scene. This is a lovely shot, almost poetic. 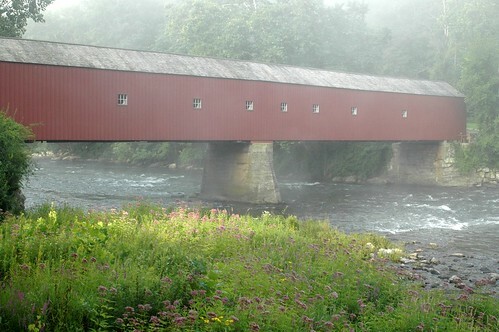 I’ve never really understood the whole concept of a covered bridge though. We don’t seem to have them here in Tasmania. Is there a specific reason? The best that I can come up with is maybe to avoid closures or excessive weight due to snowfalls.